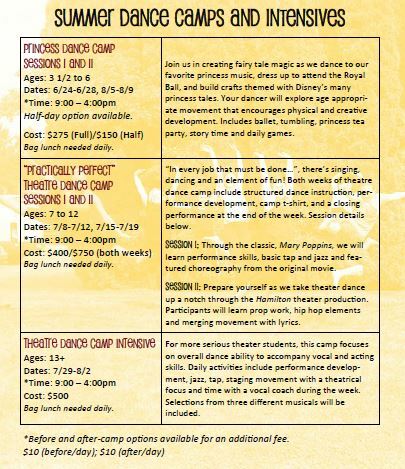 We have classic and brand new camp offerings this summer ranging in age from 3.5 to 18 years old! See the details below and contact our office for specific details. You may also register here to hold your slot while there’s still space! Click HERE for a larger image of our summer offerings!